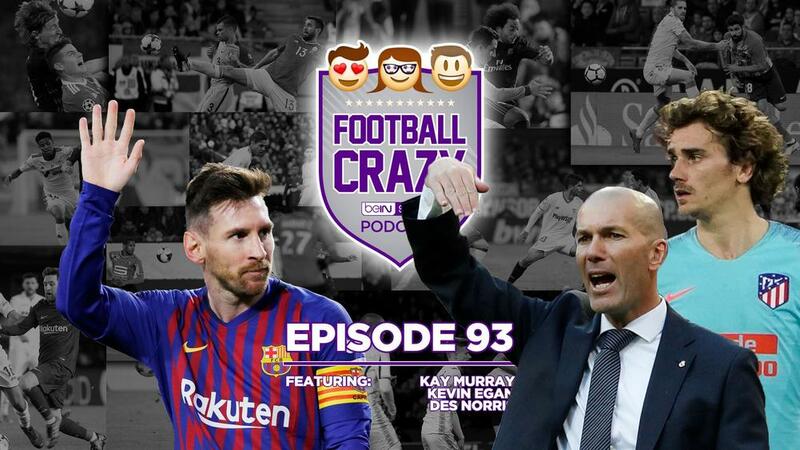 On this week's Football Crazy, Zidane brings the old gang back together as a fuzzy feeling returns to Real Madrid (3:40), Messi exhausts Ray Hudson's vocabulary (13:00), and Griezmann rethinks his 'decision' as the wheels begin to fall off at Atleti (19:00). Then it's over to MLS land, where Wayne Rooney and Cincinnati bagged three goals apiece (25:30), before turning our attention to the FA Cup quarter-finals and a successful Sunday of action of the Premier League's Merseyside clubs (28:30). Over in France, PSG infighting dominated proceedings in Le Classique, while Jardim's second coming continued with a win over high-flying Lille (37:30). And then a hop and skip through Serie A, the Turkish Superlig and the Bundesliga (43:30) before rounding things off with Power Rankings.